Get the latest Koovs coupons right here, without having to spend time searching the web for something that will work. Because they're always changing we act as your one stop destination for saving money on your Koovs purchases. 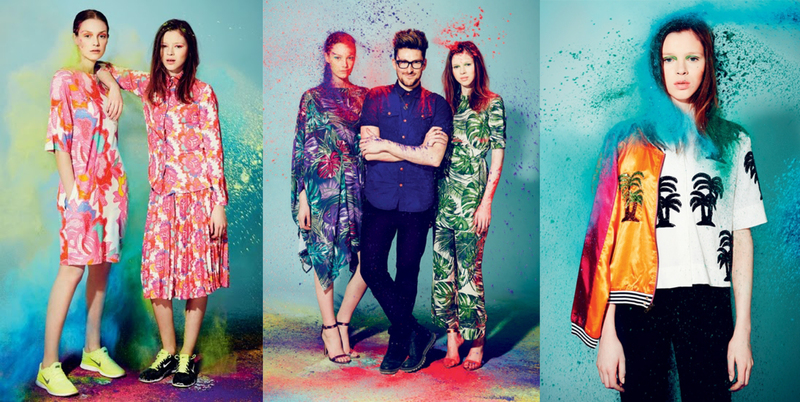 Koovs is a leading men and women's fashion retailer based out of New Delhi, India, with offices in London. The privately held company focuses on western clothing and accessories for the Indian market, selling products exclusively online at Koovs.com. They stock both well known and lesser known brands at affordable prices, with home delivery to all major regions of the country. What helps keep the company ahead of the competition is the numerous opportunities to get discounts on purchases. This deals are often redeemed with special Koovs coupons, a list of which we keep up to date right here, so you can always be sure there will be something you can use. Simply check back before placing an order to ensure you make the most savings possible. Koovs was founded in 2010 but was soon acquired by the Nahata family, who initially promoted it as a mobile phone and consumer electronics store. Not seeing the success they desired the switched focus and rebranded as a fashion retailer when British based Baron Ali Waheed came on board as CEO and Chairman. They saw a gap in the Indian market for Western fashion at affordable prices and quickly rose to prominence. Today the stock many popular brands and even have exclusive collections for popular fashion designers. Today the company stocks thousands of individual products which customers can access via the website or the mobile app for iOS and Android devices. Over 150 new products are added every week, inspired by international runways, celebrity looks and on-trend street style. Indian stars who have endorsed Koovs include DJ, VJ and RJ Nikhil Chinapa and designer duo Pankaj & Nidhi. Koovs is a premiere online fashion destination for all your clothing and accessory needs, combining the best Indian and international high street brands under one roof. Their expert group of designers based out of London also launch exclusive and trend setting collections every month, catering to both men and women. They are also the only online Indian store to collaborate with the leading fashion designers from across the world. Depending on what's available at the time you can use a Koovs promo code to get money off products in every category, or specific items or brands only. Clicking one you want to use will open a window with further details and the code itself. Types of clothing available include Dresses & Skirts, Jeans & Trousers, Leggings, Shorts, Tops & Tees, Cardigans & Pullovers, Coats & Jackets, Lingerie & Underwear, Swimwear, Nightwear, Beachwear, Sportswear, Jumpsuits & Rompers, Vests, Shirts, Polo Shirts, Chinos, Joggers, Hoodies, Sweatshirts, Socks, and much more. Accessories include Bags, Purses, Sunglasses, Jewellery, Watches, Belts, Hair Accessories, Tech Cases, Scarves, Hosiery, Wallets, Hats, Ties & Pocket Squares, and much more. Styles of Footwear available include Boots, Sandals, Flip Flops, Wedges, Pumps, Trainers, Loafers, Dress Shoes, Espadrilles, Canvas, and others. Popular western and Indian brands stocked by Koovs include USPA, Forever New, Voi Jeans, Calvin Klein, Jack & Jones, Nikhil Chinapa, Vans, New Look, Rare Rabbit, Casio, Flying Machine, GILES, Ax Paris, Vero Moda, Supremebeing, Only & Sons, Only, Alto Vida, POE, Catwalk88, Enamor, Vila, Being Human, Femella, Spring Break, Blue Saint, Women's Nike, Warehouse, and hundreds of others. Koovs accept most common credit and debit cards issued in India for payment. This includes Visa, Visa Debit, Mastercard, Maestro, American Express, and Diners Club. You can also use Net Banking with most major bank accounts and Cash On Delivery (COD). This simply means you pay the courier when your order arrives. You need to spend at least Rs. 500 to use COD. If you wish to redeem Koovs promo code, all you have to do is carefully enter it in to the designated promo box during online checkout. This will be before the payment step. If the code is valid a confirmation message will be displayed and your order should update to reflect the offer. For example if the coupon was for a discount, your total order cost will decrease according to the terms. Note you can only use one promo code per order and in some cases it cannot be combined with other automatic offers that are available on the site. All orders from Koovs are delivered to all major cities and towns in India completely for free, without having to use any Koovs coupons. There is no minimum purchase amount to qualify for free shipping, unless you use the Cash On Delivery payment method (a minimum of Rs. 500). They use a large network of couriers to ensure fast delivery, aiming to get your order to you within 5 working days. This can be longer however if you live in a remote location. You can track you order easily from within the order history page of your online account, but if you feel this is inaccurate or your order hasn't arrived you should contact customer support as soon as possible. You are advised to accept the delivery if the box has been opened or is considerably damaged. New Customer Discount: the first time you visit Koovs.com you will be greeted with an Rs. 500 Off deal, so long as you provide your email address. This is only valid on non sale items and cannot be combined with other offers. You can also get this be signing up to their email newsletter. Standard Sale: they are always running some kind of extended sale in both the men and women's categories. These discounts are automatic, simply add them to your basket at their current discounted price. Free Shipping: to make things easy all orders come with free shipping, with no minimum purchase requirement, unless you are using Cash on Delivery (which has a minimum of Rs. 500).all orders come with free shipping, with no minimum purchase requirement, unless you are using Cash on Delivery (which has a minimum of Rs. 500). Koovs Coupons: these are special codes that you enter during checkout to redeem all sorts of offers. They can even be combined with sale items. We keep an up to date list of these right here, so be sure to check back before ordering. A good way to stay up to date with Koovs news and to learn about new offers right away is to sign up to the newsletter or follow them on social media. They are active on Facebook, Twitter, Instagram, Google Plus, and Youtube. The Instagram account is particularly fun as it shows off the latest arrivals and also allows customers to show of the items they have purchased. Simply use the hashtag #KOOVSXYOU to join in. The Koovs website operates like a typical eCommerce store, with a standard basket and checkout system, and easy to browse categories to help you navigate their vast array of fashion items. You can also use the search bar at the top of the page to search for specific products or brands. When you enter a category or are on a search results page, you can further refine the product listings by selecting the color, size, price range, brand, style, occasion, popularity, release date, and other parameters until you get exactly what you want. Product pages feature a detailed description of the item, photos, and a full 360 degree modelling video so you can see exactly what it looks like. You can then select your size, colour and quantity and add it to your basket. Alternatively you can it to your wish list, which allows you quickly purchase it at a later date. If you prefer to shop on the go or you don't have a computer, why not download the Koovs mobile app for iOS and Android devices? It has an average rating of 3.7 stars out of 5 on the Google Play store, with between 100,000 and 500,000 active users. Koovs.com loves user interaction, that's why they have a dedicated page to all the Instagram shots of their customers sporting their Koovs bought items. Simply use the #KOOVSXYOU hashtag and you could be featured on the site. For more information about the site check out their FAQ section. Koovs operate a 15 day return policy, allowing customers to return any order within 15 days of the delivery date for a full refund or exchange. All returned items (unless they arrived defective) must be in their original and brand new condition. A return can easily be initiated through the order history page of your online account. You will then be asked to complete a returns form. Intimates such as lingerie and swimwear, as well as cosmetics, cannot be returned due to hygiene reasons. You may still get a refund if the items arrived defective. Obviously if you used a Koovs coupons or discounts, you will only be refunded the amount charged after the discount was applied.